Just How Good Is The Washington Nationals Rotation? Around this time of year for the past three seasons this column has been written. It was first sparked in 2012 when Davey Johnson said that the Nationals rotation was every bit as talented as the Phillies. Then again in 2013, because Gio Gonzalez was coming off a third place Cy Young finish, Stephen Strasburg wasn’t being shut down, and the Nationals had signed Dan Haren. This year it is time to once again explore the great question of how good is the Nats rotation because newly acquired Doug Fister says he believes them to be better than the Tigers. This sounds a lot like Doug Fister believing in Doug Fister and that he was the key difference in making the Tigers’ rotation the best in baseball. The Tigers starting staff wasn’t just the best in baseball though. It was the best in baseball by nearly ten wins. The Tigers starters amassed 25.3 fWAR compared to the runner up Texas Rangers at 16.0 fWAR. The team that is closest to 9.3 fWAR worse than the Rangers were the Blue Jays at 6.9 and they ranked 26th. The gap between the best rotation in baseball and the second best is the same as that of the second best and the 26th best. That is how good the Tigers rotation was, and that was with Justin Verlander having a down year and Anibal Sanchez and Rick Porcello missing a combined six to eight starts. But even with those two missing a handful of starts the Tigers used only six starters and the majority of their starts went to Verlander, Max Scherzer, and Fister, and any team that can get 98 starts from three pitchers is doing something right. Losing Fister means something for the Tigers, but it doesn’t mean as much as it would for other teams. Both Verlander and Scherzer should regress. Verlander in a positive direction and Scherzer in the negative, but even with Scherzer regressing some he is a very good pitcher and one of the best in the American League. Porcello is still just 25 and the advanced stats point to him being the greatest beneficiary of Prince Fielder being traded, Miguel Cabrera moving to first, and Jose Iglesias and Ian Kinsler now roaming the Tigers middle infield. The main impact of Fister leaving isn’t the increased importance of Rick Porcello it is that Drew Smyly will shift from the bullpen to the rotation. Smyly is a career 3.29 ERA pitcher with an 8.98 K/9 and 2.57 BB/9 that figures to give the Tigers only marginally less than they got from Fister. When all the factors are added up the Tigers rotation in 2014 shouldn’t be all that different from what it was in 2013. In order for the Nationals to be as good as or better than the Tigers in 2014 they have to make the jump from being tied with the Indians at seventh with 13.4 fWAR to being the best in baseball at somewhere closer to 25 fWAR. Doug Fister isn’t going to do that alone. Simply taking his 4.5 fWAR from 2013 and replacing Dan Haren and Nate Karns combined fWAR of 0.9 moves the Nationals up to 17 which would make them the second best in baseball, but not better than the Tigers. Again it is ridiculous just how much better the Tigers were than everyone else, but now at 17 fWAR the path to the Nationals passing the Tigers and being the best in baseball is clear. The largest chunk stands to come from Stephen Strasburg. The most optimistic projection for Stephen Strasburg has him pitching 204 innings with a 2.96 FIP and amassing 4.2 fWAR. It feels that that fWAR is a little low for that FIP as Fister pitched 208 innings in 2013 with a 3.26 FIP and was rewarded with 4.5 fWAR, but either way for the Nationals to make the necessary jump Strasburg has to be better than the projections, and it isn’t hard to imagine him doing that. For his career Strasburg has accumulated 10.8 fWAR over 434 1/3 innings an average of .0249 fWAR per inning pitched. If Strasburg pitches 200 innings in 2014 at his career average fWAR per inning he will be worth 4.97 fWAR. So if Strasburg is who Strasburg has been he will be right around 5.0 fWAR. Since we’re talking about how good the Nationals rotation can be let’s factor in that Strasburg is 25 and has the talent to be even better than that and take a step forward. Let’s put Strasburg in Cy Young contention at right around 6.0 fWAR. That type of step forward from Strasburg puts the Nationals 2014 rotation fWAR at right around 19.8 or still less than the projection of the Tigers at 24 or 25 fWAR. In order for the Nationals to be as good if not better than the Tigers they are still in need of about 5.0 fWAR. Gio Gonzalez could repeat his 2012 season and that would be an addition 2.0 fWAR right there, but that is unlikely. It is likely though that Gio Gonzalez does pitch marginally better and is worth closer to 3.5-4.0 fWAR. We’ll take the high side there and add another 0.9 to the Nationals total bringing it up to 20.7. We’re getting closer now, but we’ve also come to Jordan Zimmermann. That is both good and bad news because fWAR does a bad job of explaining Jordan Zimmermann. Zimmermann with his below average strikeout rate is the type of pitcher that looks like his ERA is outperforming his FIP, but Jordan Zimmermann has such high command of the strike zone that batters have to swing early or risk failing behind and never getting a chance to see a decent pitch. The difference between Zimmermann’s career ERA of 3.40 and career FIP of 3.50 isn’t much, but he is unlikely to repeat his 2013 numbers one way or another, but should still be around a 3.5 fWAR pitcher. 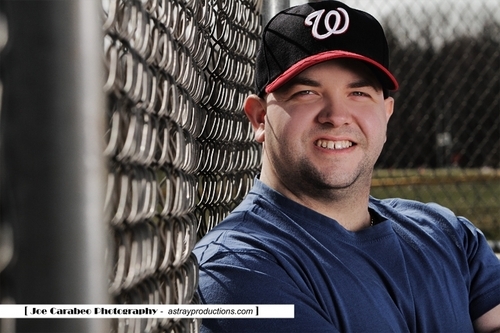 The best case scenario for the Nationals with Jordan Zimmermann is he repeats 2013. 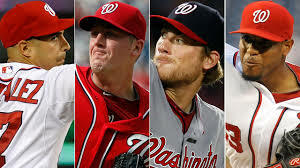 With a big step forward from Strasburg, a small jump forward from Gonzalez, and now change to Zimmermann or Fister the Nationals are 3.3 or 4.3 fWAR from their targeted goal of being as good as the projected fWAR of the Tigers rotation. This means it all comes down to the fifth starter. The Tigers fifth starter is going to be Drew Smyly and if he is what he is expected to be he is going to be right around 3.0-3.5 fWAR. That means that Ross Detwiler, Tanner Roark, and Taylor Jordan have to be at least that good. The good news is when you add up what they contributed in 2014 you get 2.5 fWAR. It doesn’t take much of a stretch of the imagination to figure that if one of them can stay healthy or even if not they can provide at least that much, but again those numbers are already figured in the Nationals 20.7 projected fWAR meaning that the fifth starter would have to pitch to a 5.5 or 6.5 fWAR level and that is no longer a fifth starter. Unless Gio Gonzalez can get back to 2012 form, Jordan Zimmermann takes a huge step forward, or A.J. Cole surprises everyone and breaks camp with the Nationals and then crashes his prospect ceiling and becomes a second Cy Young contender for the Nationals the Tigers will have a better rotation in 2014. There is one final factor though. This so far has all focused on the Nationals reaching within at least one fWAR of what the Tigers did in 2013, but Anibal Sanchez had a career year putting up a 6.2 fWAR season and leading the American League in FIP. Anibal Sanchez has never been that good before, and some regression is due to him as it is for Scherzer and Verlander’s regression in the positive can only balance out one of them. If Sanchez regresses back to his career norm of closer to 3.5 then the Nationals and Tigers rotations are about the same. The Nationals don’t have the same one/two punch at the top as the Tigers do with Verlander and Scherzer, but they are deeper at the back end thanks to the addition of Doug Fister. When it comes right down to it these are two very good rotations that look to be close to even. The Nationals could have a better rotation than the Tigers in 2014 or the Tigers could have a better rotation than the Nationals, but the one thing that is certain is that they look to be two of the best in all of baseball. 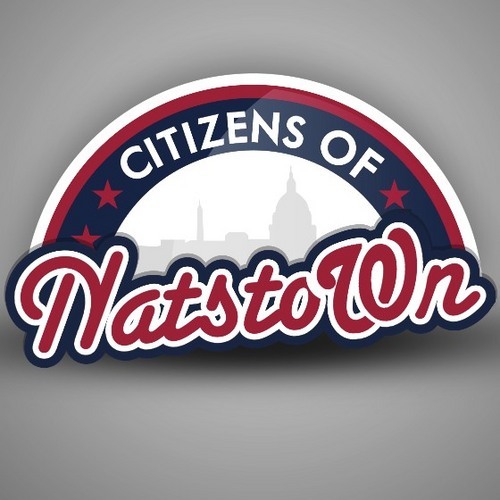 Posted on February 7, 2014, in MLB Teams: Articles and Analysis and tagged 2014 Washington Nationals, @citsofnatstown, @davidhuzzard on twitter, A.J cole, dan haren, David Huzzard, doug fister, Drew Smyly, gio gonzalez, ian kinser, ian kinsler, jordan zimmermann, Jose Iglesias, justin verlander, max scherzer, miguel cabrera, nate karns, NL east, prince fielder, rafael soriano, rick porcello, ross detwiler, stephen strasburg, Tanner Roark, taylor jordan, washington nationals, www.citizensofnatstown.com. Bookmark the permalink. Leave a comment.